It’s the best time of the year for hockey fans. The Tampa Bay Lightning enter the playoffs on the heels of the most successful regular season recorded by any team in the shootout era. Jon Cooper’s squad earned 56 wins in regulation or overtime, and 128 points, and anything less than at least an appearance in the Final would be a disappointment. That’s a tough matchup for a Columbus Blue Jackets team that sacrificed a lot of their future to go all-in for a deep playoff run. Sergei Bobrovsky might steal a game or two, but Columbus’ playoff buzz will wear out quick. Because of the current playoff format, Boston vs. Toronto in the first round seemed like an inevitability since training camp. After adding John Tavares last summer and Jake Muzzin prior to the trade deadline, the expectation was the Maple Leafs would be deeper and more capable of handling the Bruins this time around, ideally with home ice advantage on their side. But Boston managed to finish second in the Atlantic Division once again, while the Maple Leafs ended up taking a small step back from their great success last season. Toronto did start off red hot and raised expectations, but over the back half of the season, their performance wasn’t all that encouraging. Toronto’s record ranked 20th overall through the final 41 games, and the Leafs actually had a negative goal differential (-4). Boston, on the other hand, ranked third overall and boasted a +33 goal differential. That 3 vs. 20 matchup is the biggest gap of any first-round series, by the way. Maybe seven games won’t be necessary after all. The Carolina Hurricanes have been one of the funnest teams this season, and – more importantly – they ended a lengthy playoff drought while kicking up a huge storm surge along the way. For their efforts, they’ve earned a meeting with the reigning Cup champions in the first round. 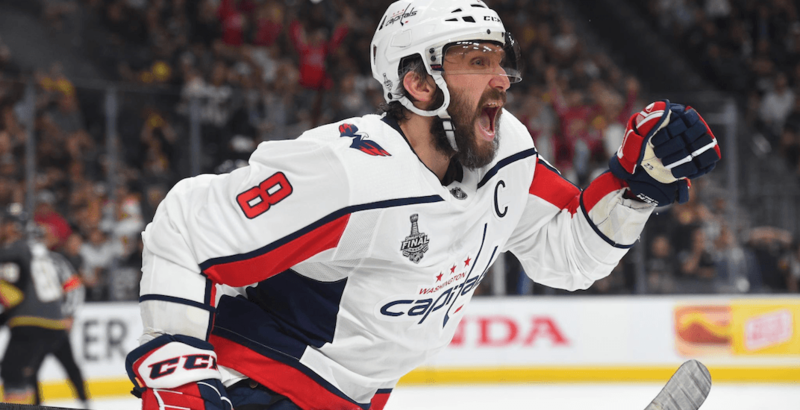 As it turns out, the Washington Capitals championship hangover appears to have ended before the season started, and this club seems hungry to repeat. Down the stretch, these two clubs were as good as any around the league. Washington has the experience, but Carolina has the gumption and Mr. Game 7, so you could argue where there’s a Williams, there’s a way. There always seems to be at least one team every season that defies all expectations, and that distinction in 2018-19 goes to the New York Islanders. Head coach Barry Trotz deserves a lot of credit for getting this team to the postseason in year one of life after Tavares, and he in turn needs to thank these two for helping it happen. That said, the bubble is likely to burst early. The Penguins finished the season on a roll, and are gaining Evgeni Malkin and Kris Letang, both of whom are fresh after returning from injury. There’s just too much talent in Pittsburgh to be stymied by the Islanders. Even in the likely event the Colorado Avalanche are eliminated by the Calgary Flames, they’re still winners because a) they’ll have gained some important experience and b) they’ll be adding a top talent in the Draft thanks to the Ottawa Senators. The Flames are the top seed in the Western Conference, and their formidable depth up front and on the blue line should carry them to victory over Colorado. The big question mark, however, is in net, as Mike Smith posted a sub-.900 save percentage in the regular season and David Rittich is an unproven commodity in the postseason. The Avs are talented and will be a force in the not-too-distant future, but Bill Peters isn’t getting enough credit for his work with the Flames, and they’ll continue to make up for any deficiencies in net, for one series at least. Look for a pair of former Ottawa Senators to play key roles in this tight series. Vegas has thrived since the addition of Mark Stone, while San Jose has Erik Karlsson back from a groin injury. The latter is set to become an unrestricted free agent this summer, and a return to form could mean big things for both he and the Sharks in the coming weeks. If anything, Karlsson’s presence should help to keep the puck away from Martin Jones, who’s been, in a word, bad this season. Ultimately, though, San Jose’s goaltending issues will be the difference in this series. Nobody is taking Vegas lightly anymore, and for good reason. They could very well come out of the West again. The Nashville Predators have flown under the radar a bit this season, but don’t forget they advanced to the Final in 2017 and remain one of the top teams in the league. Conversely, the Dallas Stars have largely underachieved in recent years, but managed to advance to the postseason after CEO Jim Lites said his best players were horse manure back in January. Ben Bishop may very well win the Vezina, but he’ll have to at least replicate his league-leading regular season save percentage in this series for his team to have a chance. The Winnipeg Jets are the higher seed, but the St. Louis Blues enter the playoffs as the second-best team in the league in the second half of the season, trailing the Lightning by a single point over the last 41 games. That’s pretty nuts when you consider the Blues were at the bottom of the league standings at the beginning of 2019. While the Blues were rising, the Jets ranked 17th in the NHL over the last 41 games. Key to that turnaround was the play of Jordan Binnington, who’s basically this year’s Andrew Hammond. The series might seem close on paper, but it’ll be a failure to launch in Winnipeg.